The Refinery Face Scrub helps to brighten the complexion by eradicating the face of dead skin cells, a common cause of ingrown hairs. Petitgrain works to nourish the skin whilst corn cob gently exfoliates the face leaving the perfect shaving platform. 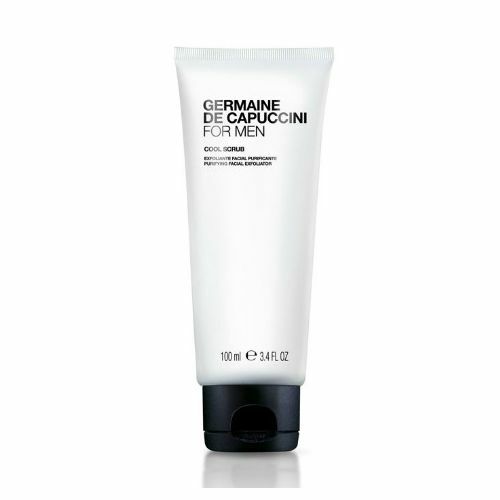 The Refinery Face Scrub should be used twice weekly although it is gentle enough for daily use. Aqua (water), citrus aurantium dulcis (orange) flower water, kaolin, hydrogenated jojoba oil, cetearyl alcohol, glyceryl stearate, prunus amygdalus dulcis (sweet almond) oil, polysorbate 60, simmondsia chinensis (jojoba) seed oil, aloe barbadensis leaf juice, glycerin, sorbitan stearate, phenoxyethanol, zea mays (corn) cob meal, citrus aurantium amara (bitter orange) leaf/twig oil, cinnamomum camphora (ho wood) oil, ethylhexylglycerin, citric acid, geraniol, linalool. Massage The Refinery Face Scrub onto the skin with a little warm water. Focus on areas of congestion like the chin, around the nose and the forehead. Don't be too over-zealous with this scrub. Gentle strokes will suffice. This is really creamy. It smells really good, lots of essential oils, and leaves skin soft.